R.I.P.D. 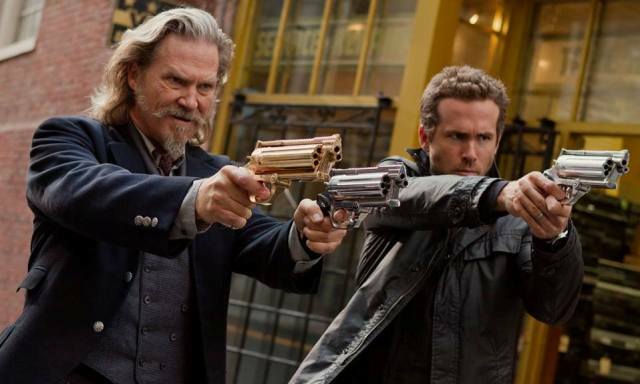 is another entry into the world of comic book adaptations although the source material from Dark Horse Comics is not as widely known as its Marvel or DC counterparts. 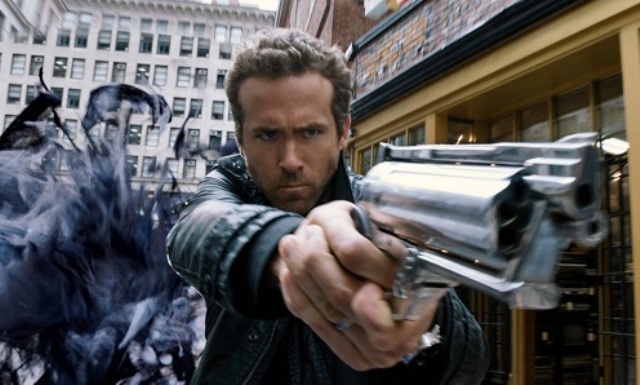 Ryan Reynolds, Jeff Bridges, Mary-Louise Parker, and Kevin Bacon have all been in comic book movies before, but never in anything quite like this otherworldly tale of paranormal police officers who set out to protect the planet from things that do much more than just go bump in the night. Nick (Reynolds) is a policeman who has been making his mark among the ranks of fellow officers as well as establishing a happy home life with his beautiful wife Julia (Stephanie Szostak), but when one bad decision literally comes back to haunt him, he ends up losing everything including his life. 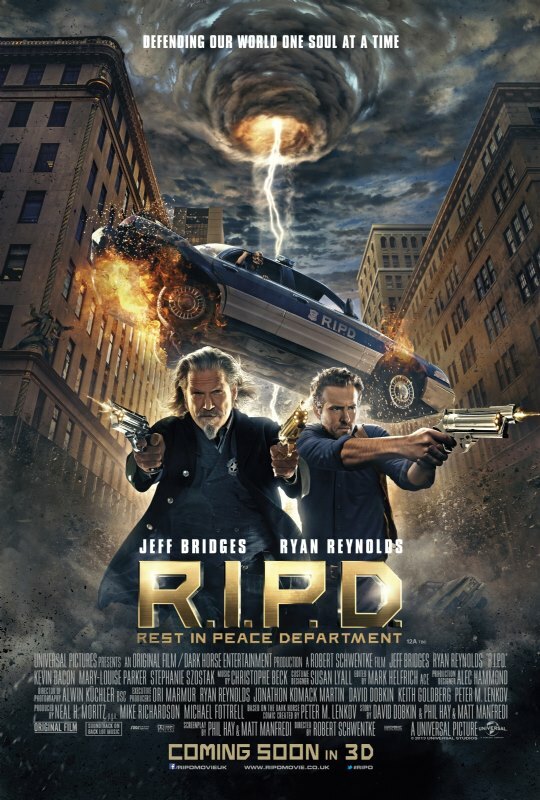 Fortunately, his talents as a law enforcement officer are in high demand by an organization based in the netherworld between life and the afterlife known as the Rest in Peace Department, or R.I.P.D. Nick is partnered up with a law man named Roy (Jeff Bridges) who hails from the old wild west days and still carries most of the characteristics of a man from that era. Brash, talkative, and a sharpshooter to boot, Roy is a man who will get the job done...or at least he'll tell you all about it for as long as you let him. Back among the land of the living, their job is to keep the peace between regular folk and the dead ones who have got themselves stuck on earth rather than floating off into either heaven or hell. To protect their identities (I think), living people see each of them as someone else. Nick looks like an old asian guy (James Hong) and Roy is basically Marissa Miller (Marissa Miller). Eventually, the paranormal partners are thrust into the middle of a plot to take over the world and it becomes their responsibility to save mankind from a bunch of dead people. The action is fast paced and it seems that guns from the netherworld have an endless supply of bullets so there's no stopping the heroes or the villains from shooting up everything in sight. There's even a really weird car chase that involves cars falling out of a parking garage that takes up about 10 city blocks...or its a whole bunch of parking garages all built next to each other. Either way, the special effects are intentionally over the top to the point where I would have preferred this to be a cartoon movie with the cast just providing their voices rather than placing everything in a live action setting. Its hard to find too much fault in a movie that is very self aware and knows how gratuitous and cheesy of a spectacle it is destined to be. 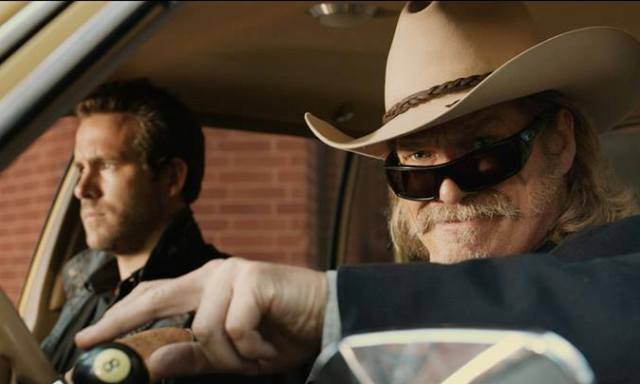 Normally, I wouldn't say much at all about the acting in a picture like this, but Jeff Bridges is just awful as a goofy, wild west lawman with a gravelly southern drawl that is just flat out annoying and especially due to the fact that he talks non stop through the whole movie. 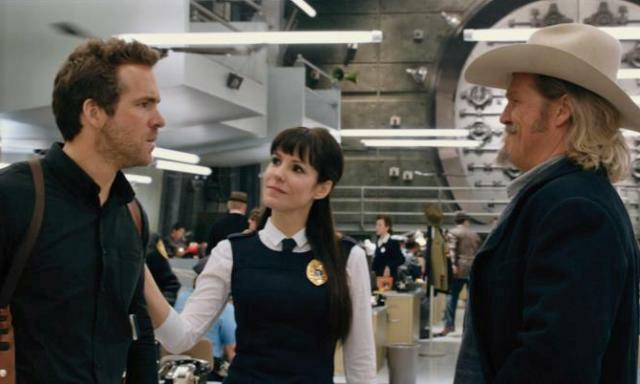 I truly believe Ryan Reynolds was not acting when his character was telling Bridges to shut up. There was a very honest and painfully emotional expression on his face that I completely related with. If you choose to see R.I.P.D. (I'm sure there are a couple of you out there)...please go in with very low expectations and with a willingness to just sit back and try to enjoy a no brainer action comedy that pulls material from several other movies (Men in Black to name an obvious one) to get the job done. I find it strange to see my fingers typing this out, but I actually had a good time watching this movie even though I still can't quite figure out why. Oh, and in case you were wondering what other comic book movies the cast members have all been in, I have made a list that you can check out after the trailer.